I recently found a fantastic new pill organizer, which separates Mama’s morning and bedtime meds and is extremely easy to open/close with a push button that gives a satisfying click when it shuts. Plus, it includes a beautiful shade of turquoise and a stylish, clear font. It’s got everything! It arrived today and we love it! 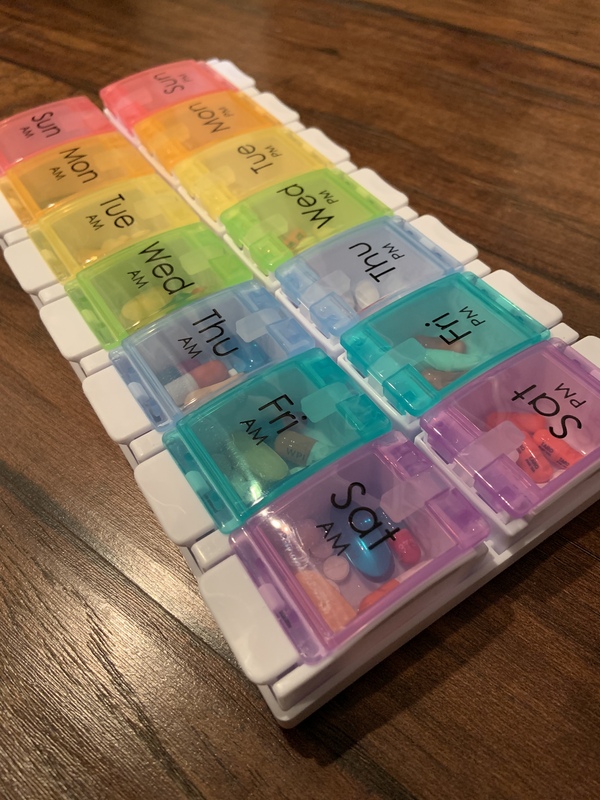 Today’s #OneGoodThing was an updated pill organizer for Mama. What was your #OneGoodThing today? Please share in the comments! Day 91 of 365. And Day 1,187 in a row (here’s the first 366, & the following 365, & the third year of 365 good things)! 1 year ago today: Radish emerging!